So this spring is more an unusual distribution of warmth and cold, rather than a global warmth anomaly. 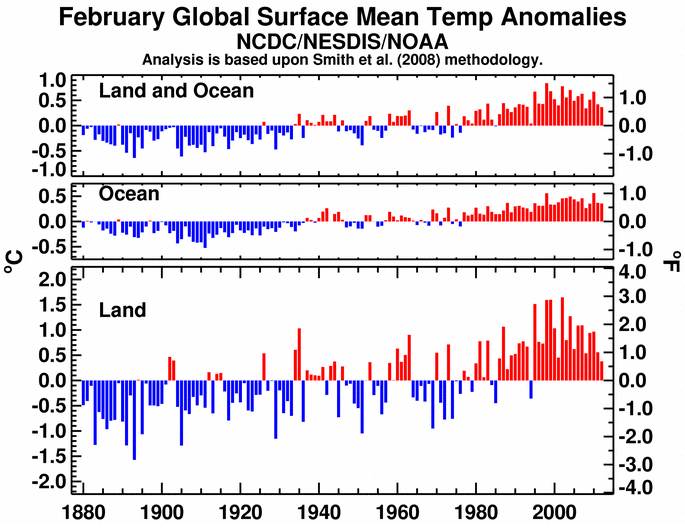 (Although worth noting that it would be a record-breaking warm February globally had it occurred any time between 1880-1970). 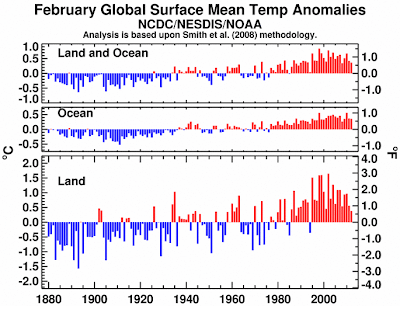 When you look at your last temperature chart, how anyone could claim there isn't global warming is beyond me. You really need to be able to toss logic out the window. By the same token, the people who think they can fix this are being equally illogical. We have gone from 1.5 billion people to 7 billion people. There is no way we can cap and trade our way out of this and we don't have enough energy reserves to actively remove carbon from the air. We may as well start breeding plants that can tolerate high temperatures and fish that can survive in a more acidic environment. Hi Stuart. 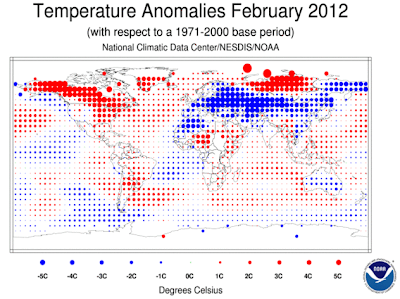 The satellite temperature record shows a value around -0.1 C for the February anomaly. The trend for the last decade remains completely flat. how about temperature trend since 1980? Here in Australia, the talk back radio hosts simply point to the fact that Europe had a cold winter and totally ignore North America.